In Qlik Sense, users (with appropriate permissions) can create their own sheets. These sheets will not be seen by any other users unless the owner chooses to publish them. Once published, the sheet goes into the Community sheets area. It may be the case that a sheet created by a user is so good that we would like to promote it to being an Approved sheet. Right now, there doesn't appear to be a supported method of doing so. 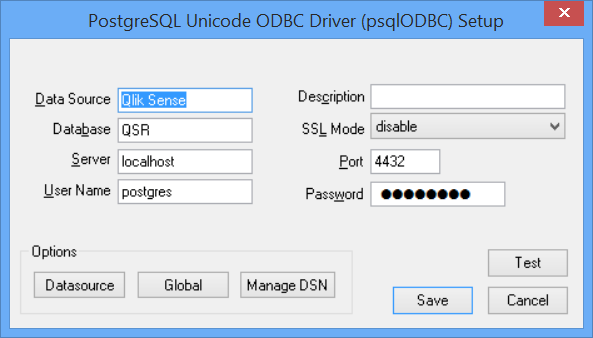 We can, however, use an unsupported method and that is simply to update the entry in the database for the Sheet object. You will need to refer to my previous post on connecting to the repository and use a Query tool (such as the one that comes with pgAdmin III). Simple as that. Once is is approved, as well as appearing in the Approved list, if you duplicate the application, the sheet will appear in the available sheets to edit. One of the cool things about Qlik Sense Server is the ability to be far more granular as to what you give particular users access to do in different areas. In QlikView Server, we can make people Document Administrators and give them access to a folder to be able to perform reload tasks on the documents there. In Qlik Sense Server, we can give a user, or users, access to just one reload task for one application. 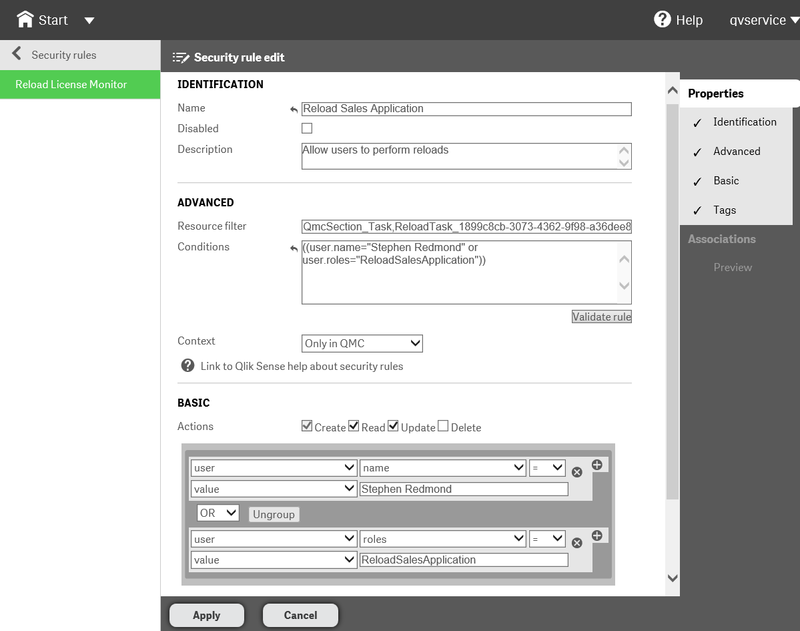 In Qlik Sense QMC, I will go to the Security Rules section and add a new rule. I will probably only want to add Read and maybe Update but not allow Delete for this rule. The rule will apply to QMC only. I could give access to ReloadTask_* and App_* to give the user or group access to all tasks and all apps. In the access, I can assign to a specific set of users or I can specify a name of a role. This role does not have to exist anywhere else - this is you creating it!